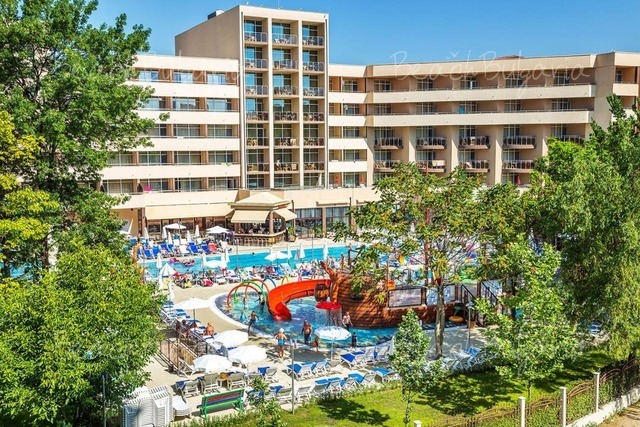 Primoretz Grand Hotel & SPA is situated on the beach line in the Sea Garden, close to the central of Burgas, at 15 minutes driving distance from the Airport. 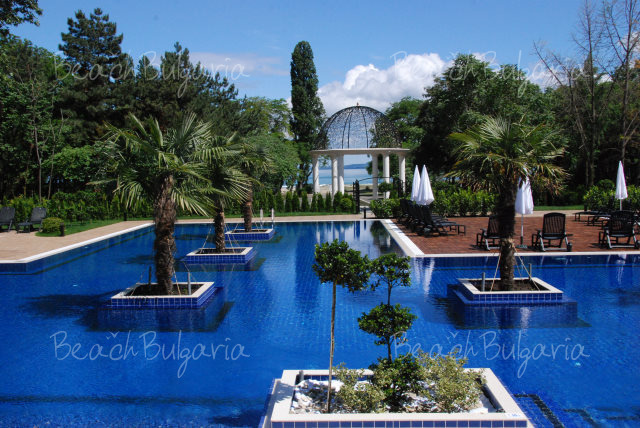 It is the only five-star hotel in Burgas. Accommodation: The hotel features 105 rooms and suites of which 75 Standard Rooms, 18 Deluxe Rooms, 4 Executive Suites, 4 Junior Suites, 1 Presidential Suite and 1 Premier Suite. 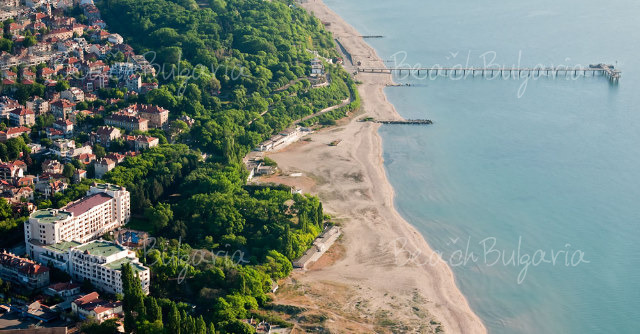 All guestrooms are with high-end amenities and luxurious bathrooms, cosy balconies, overlooking the sea, the seaside park and the old part of Burgas. The hotel features 2 restaurants, summer garden, 2 lobby bars and piano bar. Salini Mediterranean and Sushi Restaurant with 150 seats indoors and extra 100 seats in a summer garden, overlooking the sea and hotel’s pool serves fresh seasonal fish and seafood, meat and pasta, Sushi, etc. Restaurant Primoretz with 200 seats and extra 100 seats on a terrace with splendid sea view offers Bulgarian and international cuisine. 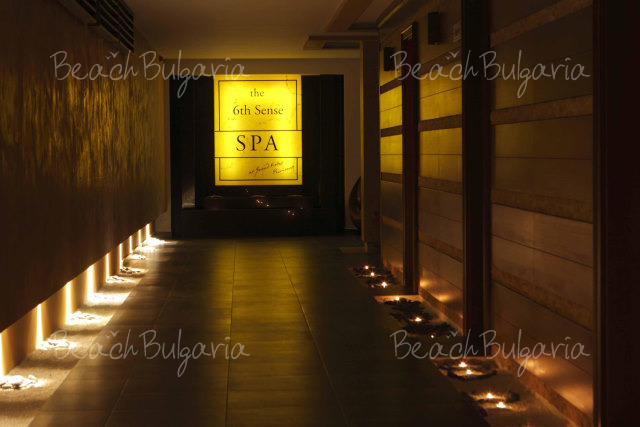 - Beauty, spa and wellness facilities with renowned beauty product lines. The property offers several conference halls for business meetings, seminars, trainings, conferences and other business events. The conference halls are air-conditioned and fully equipped /flip chart, screen, sounding, multimedia, simultaneous interpretation booth, Internet access. 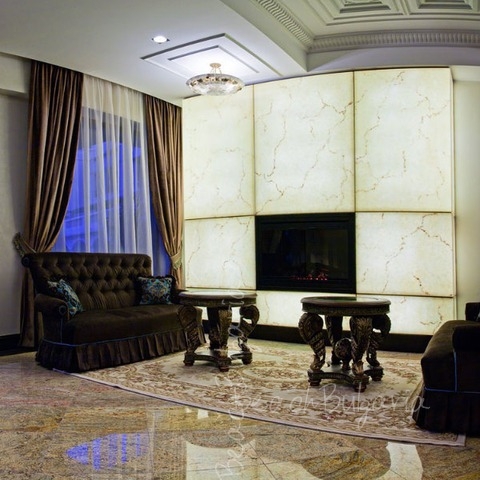 Primoretz Grand is the best hall, offering a maximum flexibility of arrangement. Armani Conference Hall /40 q.m/ with sea view, located in the southern part of the building. VIP-room of the Primoretz restaurant for 40 persons is suitable for business lunches or dinners and coffee pauses. * The rates are in Euro, per room, per night with breakfast included, free use of indoor, outdoor, and children’s pools, sauna, jacuzzi, aroma sauna, steam bath, use of Relax Zone, and free WI-FI in the Lobby. * Maximum capacity: Double room - 2 adults; Double lux room: 2 adults + 1 child or 3 adlults; Apartment - 2 adults + 2 children or 3 adults. * Cancellations can be made free of charge providing details of this are received at least 21 days prior to check-in time on the day of arrival - cancellations made after this period will incur a fee equivalent to the cost of 3 night's accommodation. 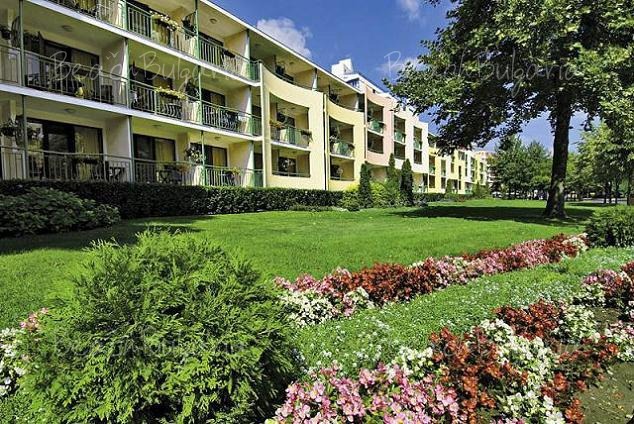 Please, post a comment on Primoretz Grand Hotel & Spa.